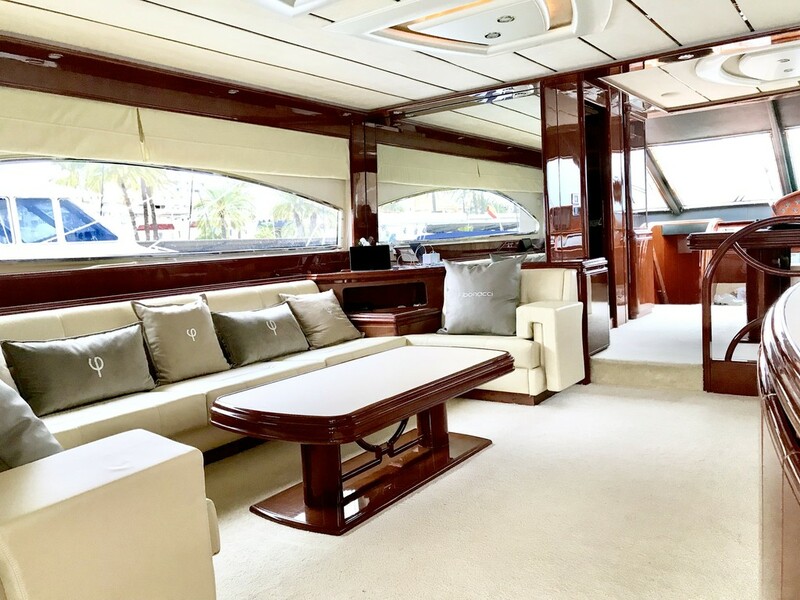 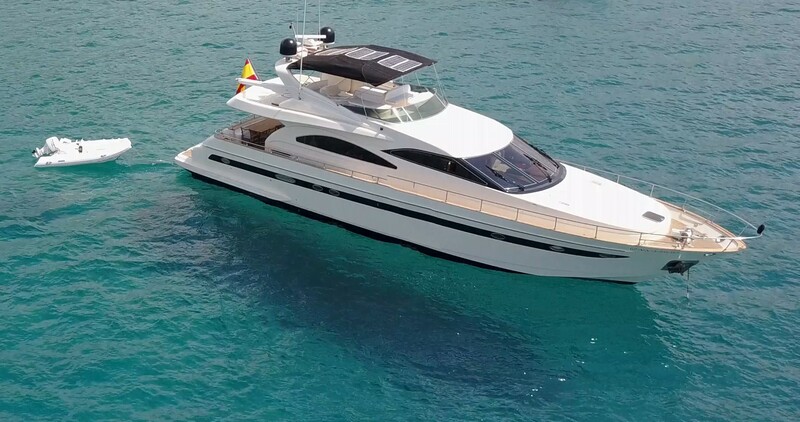 With the length of 21.89m (71' 10”), motor yacht FIBONACCI is a nice and well-laid out luxury vessel available for charter in Spain. 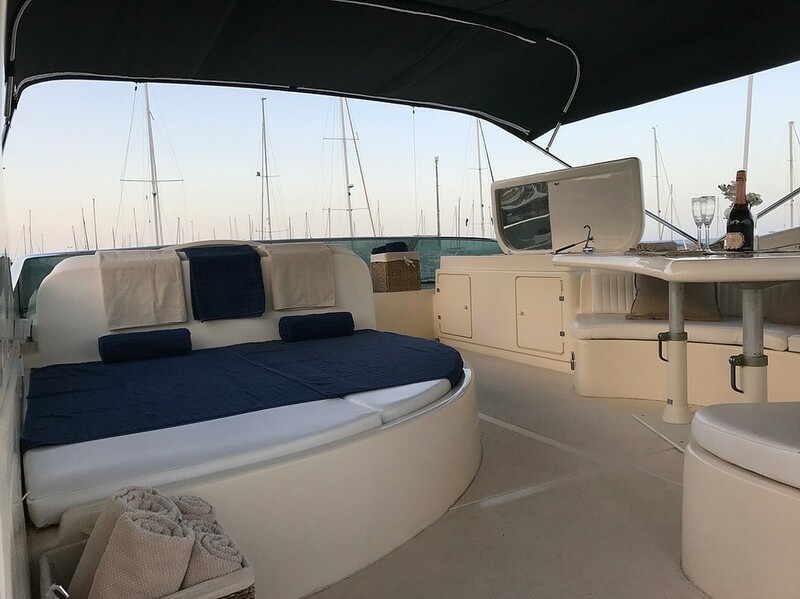 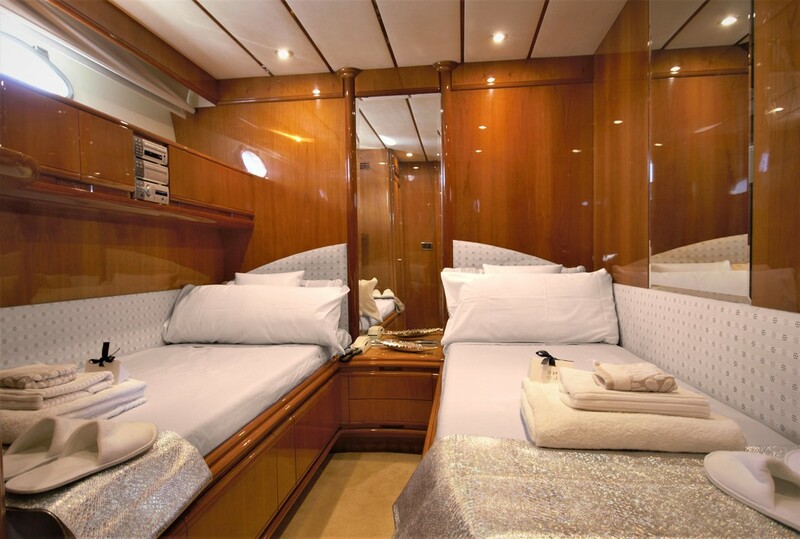 With accommodation for up to 8 guests in four cabins and a crew of 2, she is an ideal choice for group charters or family vacations. 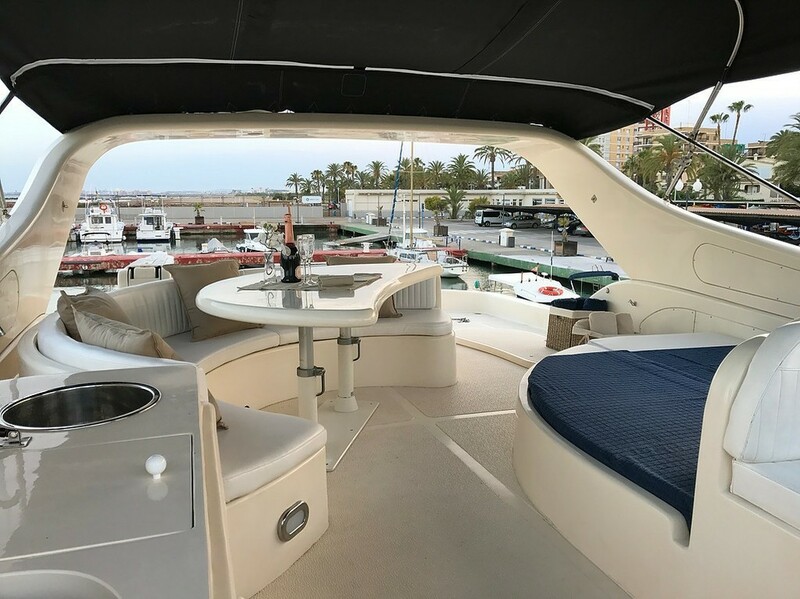 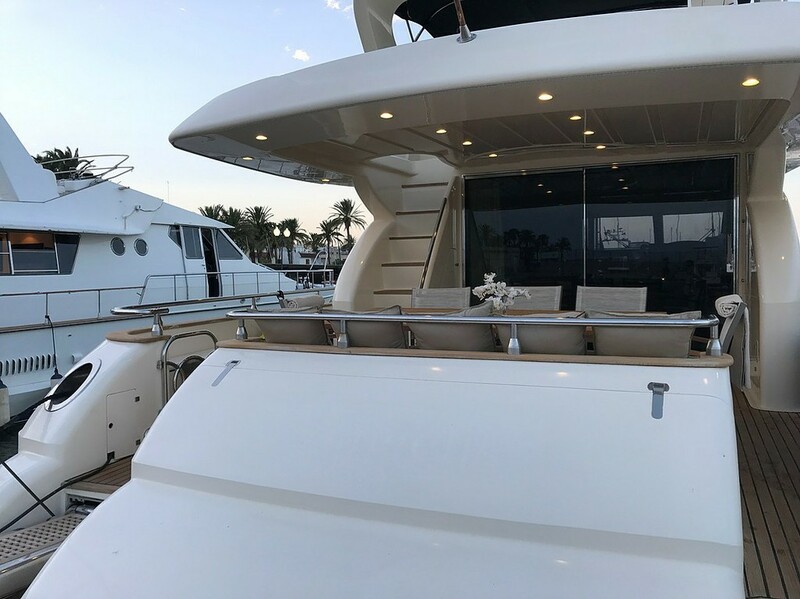 She was launched in 1999 by Astondoa and refitted in 2018. 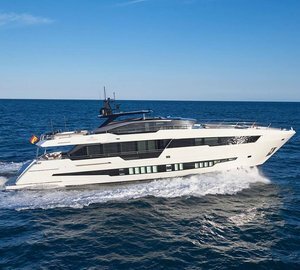 FIBONACCI is powered by two MAN 1200hp Diesel engines, reaching a top speed of 28 knots and a cruising speed of 20 knots. 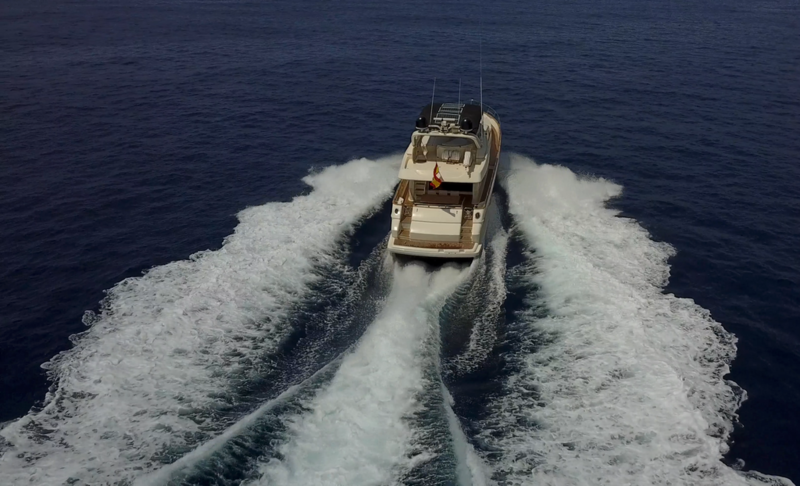 She has a range of 350 nautical miles with a consumption of 400 litres per hour. 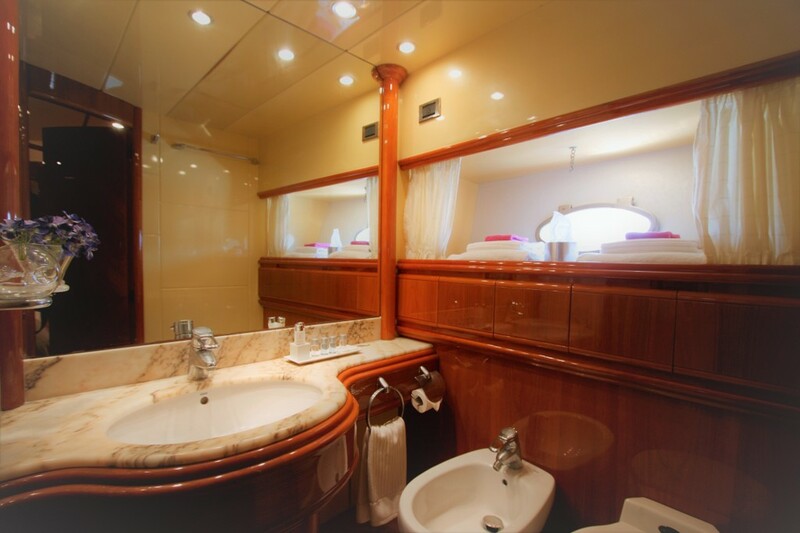 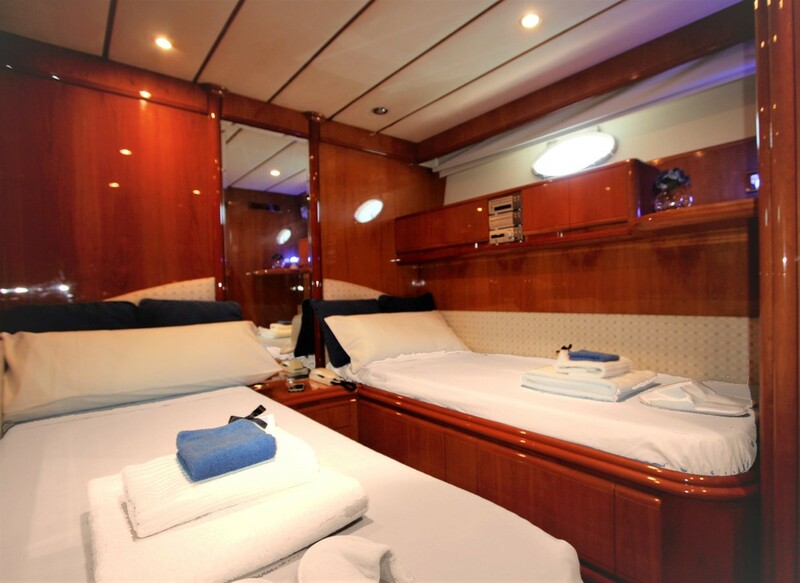 Eight guests are accommodated in four cabins. 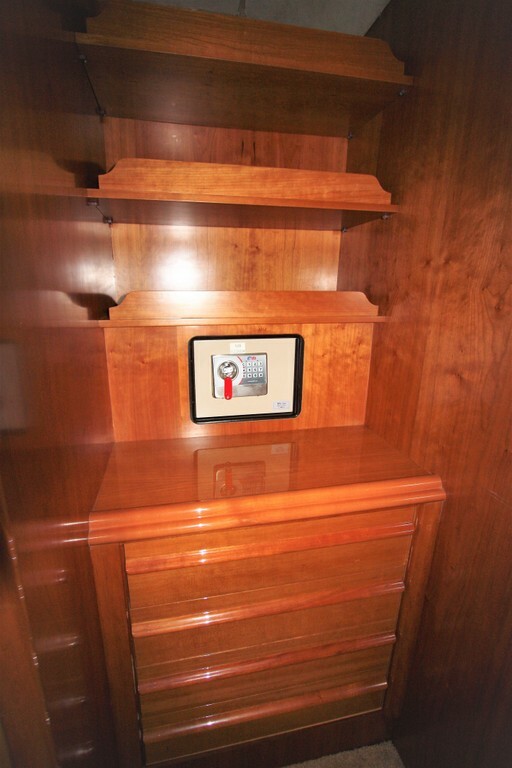 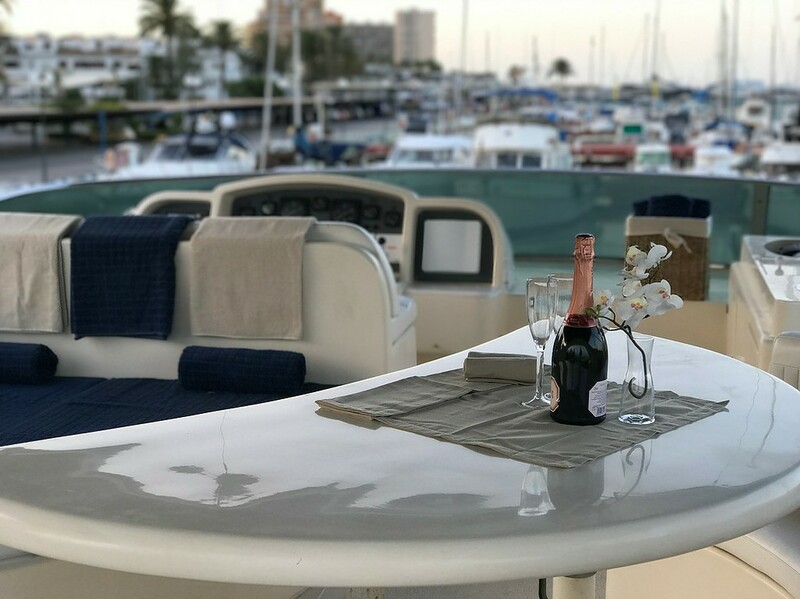 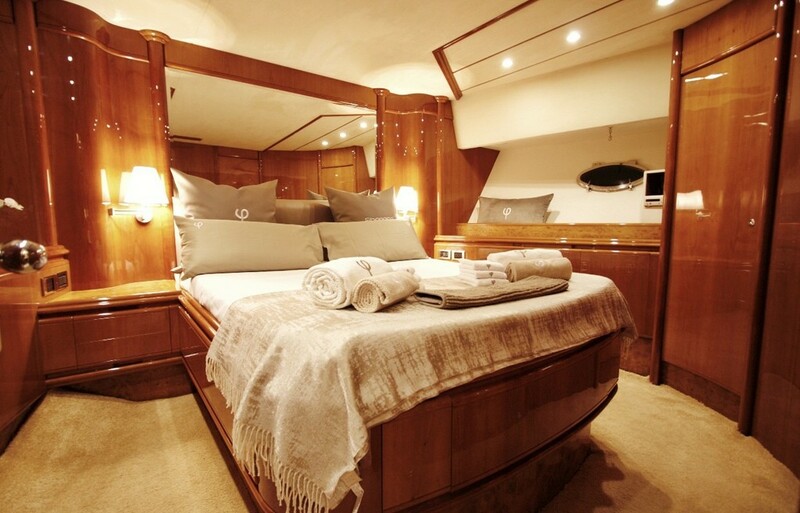 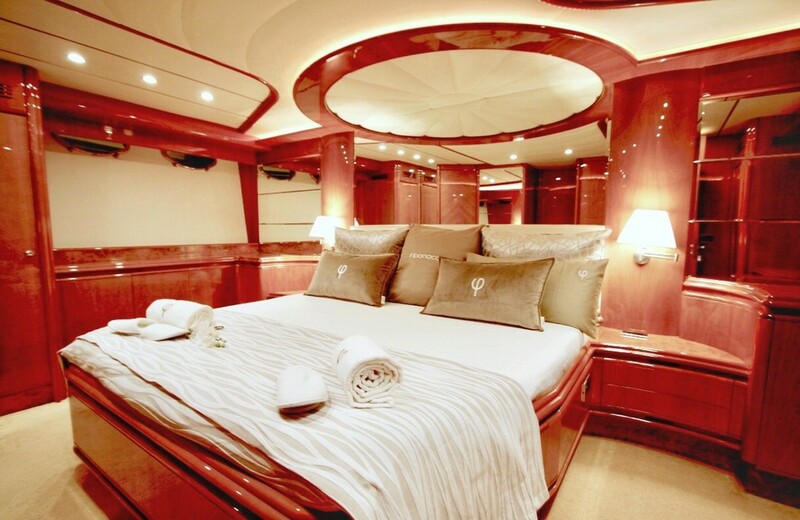 The master cabin is located aft, spreading fullwidth with walk-in closet and en-suite facilities, VIP is located to fore, is full width and has a walk-in closet and en-suite facilities. 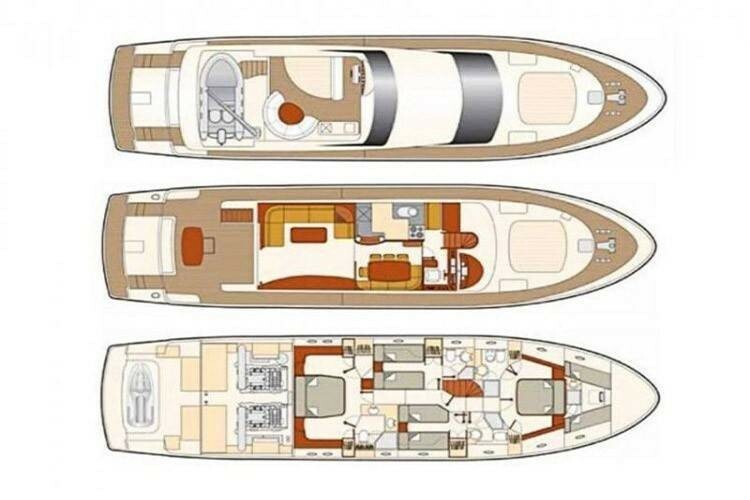 There are two identical twin cabins, not convertible, each with head en-suite, one head is used as well as the day head.